I have wonderful news for you all. As of last week, I own my own circus! I have graciously agreed to let them continue to travel around the world in order to spread the word of Oink through the media of acrobatics and interpretive dance. It was the least I could do, after all, I am their dear leader. I spent the next few weeks chatting to Garrie online when I had the house to myself. Ted showed me how to use a secure connection so that the adults wouldn’t be able to track what we were up to. After a lot of discussion we decided that there was only one possible course of action. We had to take over the circus. The first thing that we needed to do was to make sure that we looked the part. Garrie decided to go as the strongman so tht he could infiltrate both backstage and the ring itself. His human (he also calls her his transport device) assisted in making his costume, it was quite like Tarzan, he looked great. I decided to be Ringmaster as befits my station in life (most awesome at everything), I wore my formal suit with my top hat and, of course, a cape. The day of the circus came and we all went out for dinner beforehand. 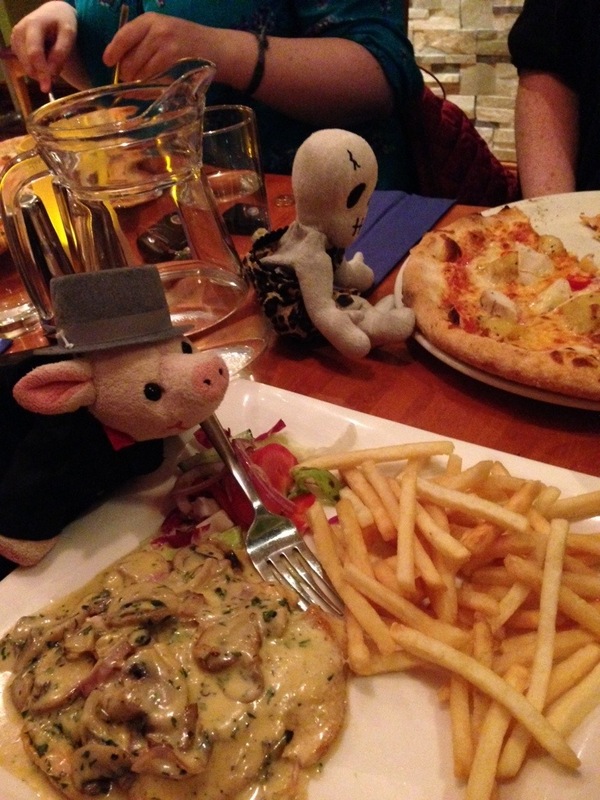 I had chicken and Garrie had pizza, we needed to make sure that we had all our strength for what lay ahead. We finally got to the circus and it lived up to all our expectations. The tent was pretty cool, much better than the ones that you see in camp sites. We stayed with the adults until we got inside, there was no point in wasting our energy sneaking in when we could just hang about in our special carrier devices (definitely not handbags). Then once the adults were all in their seats, we headed to the ringside for a better view. Garrie scouted out the backstage area while I rewired the sound and light systems and changed all the music to my favourite tunes. By the time Garrie got back we had a plan. It only took a little bit of chloroform (I had borrowed that from Booie) and I was the new official ringmaster and Garrie was the new strongman. A few minutes of my latest album, ‘Subliminally Oink’, and all the rest of the performers were chanting my name. Success! By the time the interval came we were a little bit bored so we sent some servants to get us treats. 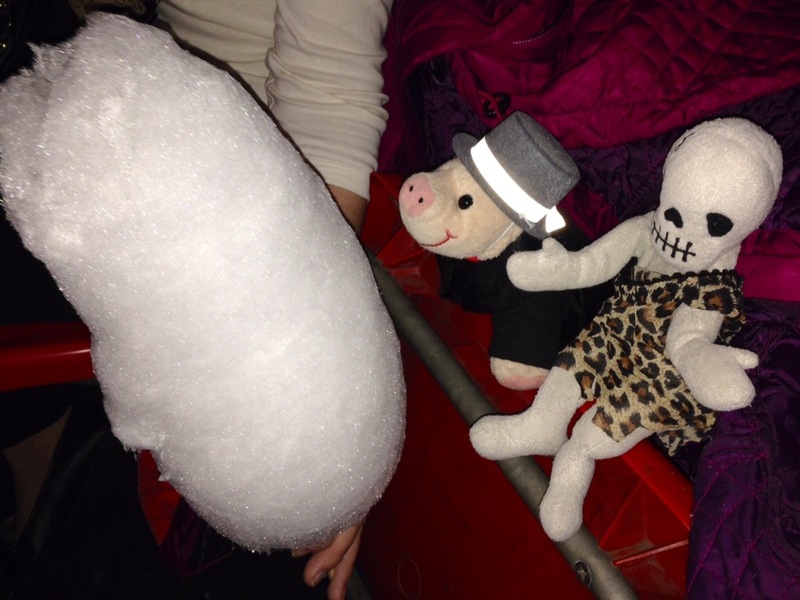 One of the best things about owning your own circus is the unlimited access free popcorn and candyfloss! While I was busy supervising the second act, Garrie decided to have a little fun of his own. He didn’t tell me exactly what he was up to but I saw him coming out from under the tiered seats and later on he was sitting at the top of the tent throwing nuts and bolts at people who weren’t paying proper attention. 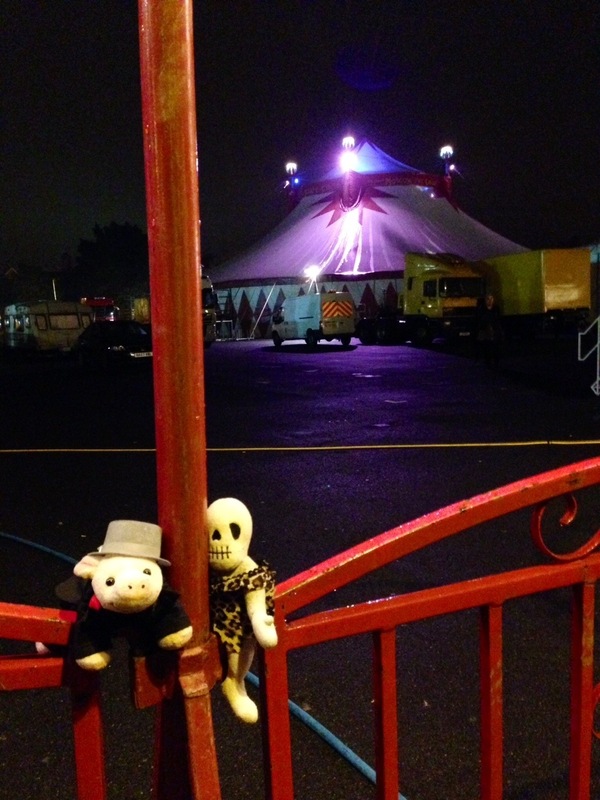 Overall, we really enjoyed our circus trip. 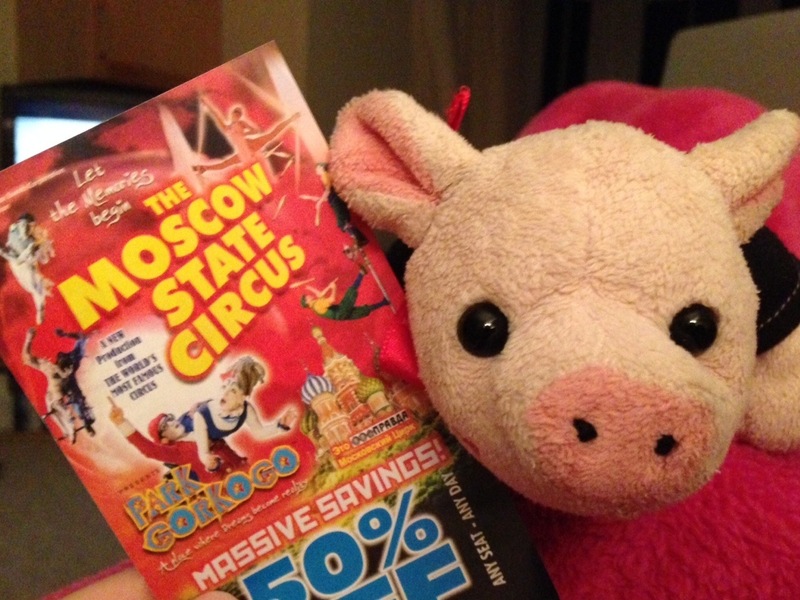 We decided to let them carry on their tour so that the word of Oink will travel far and wide. 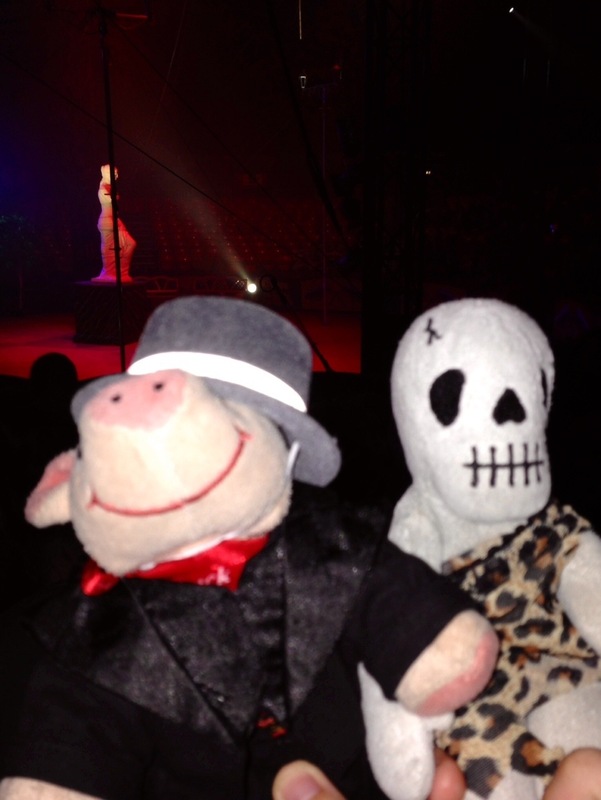 We’re currently working on new sets and costumes for everybody for next year, the theme will be ‘Oink and Garrie Rule’. I smell success already!